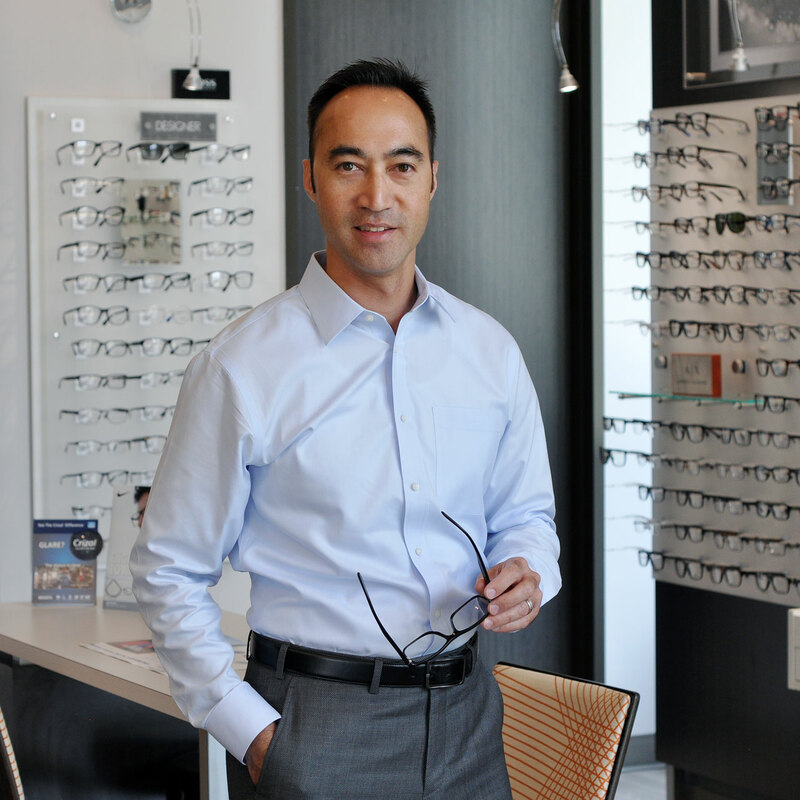 Creekside Family Eyecare is pleased to offer a wide range of optometric services, eye care products including eyeglasses, specialty eyewear, frames, and contact lenses. Our staff is happy to help however we can. Dr. Andrew To is a glaucoma-certified, therapeutic optometrist. He grew up in Northwest Houston and received his Bachelors of Science in Biology at the University of Houston. He then obtained his Doctor of Optometry degree at the Illinois College of Optometry in Chicago, IL. In addition to making Dean’s list, Dr. To received clinical honors during his studies. While as a student, Dr. To volunteered as a teaching assistant, helping students during their contact lens laboratory. As a result, he has gained invaluable experience fitting specialty, as well as complicated contact lens fittings. Dr. To has received extensive clinical training in the diagnosis and treatment of ocular diseases during his internships at the Illinois Eye Institute, Cleveland VA Hospital and White River Junction VA Hospital. He also did internships specializing in Pediatrics, Low Vision and Refractive Surgery. He has been practicing for over 10 years. Along with co-managing refractive, lasik and cataract surgeries with multiple ophthalmologists in the Woodlands/Conroe area, he is also involved in the diagnosis and treatment of many eye diseases. He is married to Dr. Vicky Pham, who he met in Optometry school, and they have 5 lovely children. Dr. To enjoys snowboarding/skiing, watching movies, and taking family vacations. Both myself and my son have been to Dr. To. Fantastic doctor for the young and old! Very nice facility too, and so close and convenient!